LINTHICUM, Md. 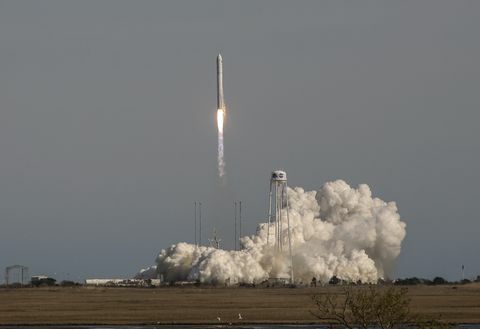 – July 14, 2014 – Northrop Grumman Corporation (NYSE:NOC) officially broke ground on a new $20 million Maryland Space Assembly and Test (M-SAT) facility on the back of its Baltimore campus adjacent to Baltimore Washington International Thurgood Marshall Airport. In attendance at the groundbreaking event were U.S. Sen. Ben Cardin and U.S. Reps. C. A. Dutch Ruppersberger and John Sarbanes. The event was hosted by Gloria Flach, corporate vice president and president, Northrop Grumman Electronic Systems. The 25,000-square-foot building is designed to handle space payload integration programs. "Northrop Grumman is committed to finding more affordable solutions to the nation's needs for critical space systems," said Flach. "This new M-SAT facility will enable us to meet our customers' space integration, assembly and test requirements more efficiently and affordably." 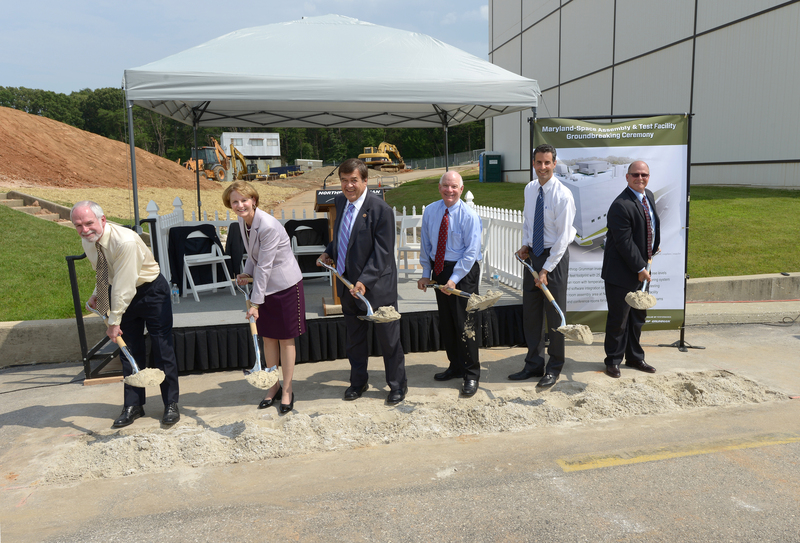 "I congratulate the men and women of Northrop Grumman on the construction of this new facility in Linthicum, which will support the company's space payload business," said Senator Barbara A. Mikulski, Chairwoman of the Senate Appropriations Committee. "I'm in the business of helping business, and I have been advocating to keep this business right here in Maryland. By retaining top scientists and engineers in their fields, we are supporting jobs that keep our nation safer and Maryland's economy stronger." "Northrop Grumman understands that when something is 'Made in Maryland,' it is the best in the world. I am proud to join in the groundbreaking for this state-of-the-art space assembly facility that will keep our state at the epicenter of space and technological innovation," said Cardin. "During such a tough and unpredictable budget environment, I applaud the people of Northrop Grumman for their resourcefulness in finding more efficient and affordable solutions to America's needs for critical space systems." "Baltimore has long been home to Northrop Grumman and, now, they are choosing to grow here because of our second-to-none workforce," said Ruppersberger. "This investment will not only create local jobs, it will cement Maryland's reputation as a national space leader and drive the innovation that will help us win the global space race." "Nearly a half century ago when we sent Neil Armstrong to the moon, America was just in the beginning of its journey into the unknown," said Sarbanes. "Now that we better understand the great technological advances that can be made through space exploration, we must keep our country on the cutting edge. This facility will create high-tech job opportunities that put Marylanders back to work and keep our economy on the move." 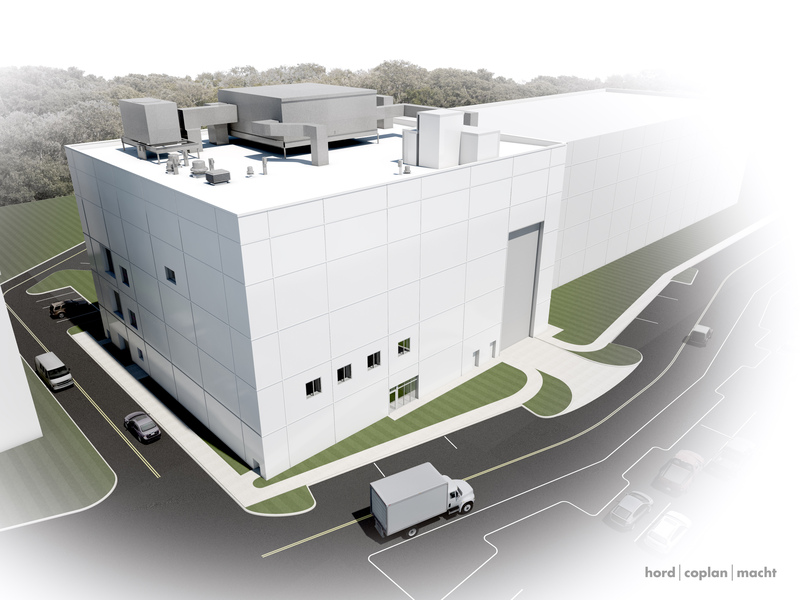 The M-SAT space assembly, integration and test building will feature the largest clean room facility on the company's Baltimore campus, a three-story high-bay area that will house operations for space programs. Northrop Grumman currently develops and delivers space payloads at its Baltimore campus utilizing several smaller space assembly facilities. This new, larger building will allow for expanded payload production to meet growth in the company's space business. The building will house up to 80 engineers and technicians working on space systems assembly, integration and test. The facility will also contain office space for collating the integration and test staff, and a lab space for test bed development and testing. Construction of the new facility is being led by Patriot Contractors LLC, a Maryland-based, veteran-owned general contractor, and is expected to be completed during the summer of 2015. 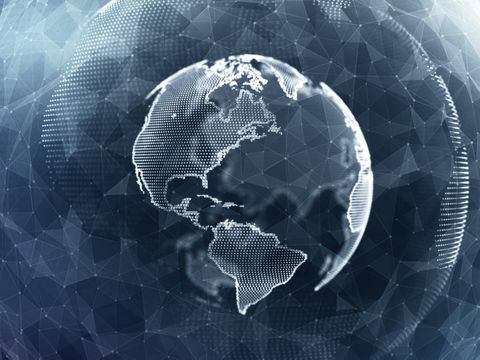 Northrop Grumman has been a pioneer in designing and producing payloads, sensors, systems and solutions for use in space for more than 50 years. These included the Gemini Rendezvous Radar Pod and the Apollo 11 Lunar Camera that broadcast man's first steps on the moon. 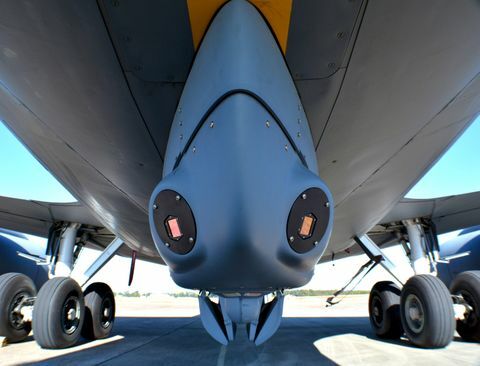 The company's current programs include the Defense Meteorological Satellite Program, the Defense Support Program, the Space-Based Infrared System and the James Webb Space Telescope.